Body, arm and insert: Stainless steel, sandblasted sating finish, European standard No. 1.4305 (American standard 303 series). Spring: Stainless steel European standard No. 1.4305 (American standard 303 series). 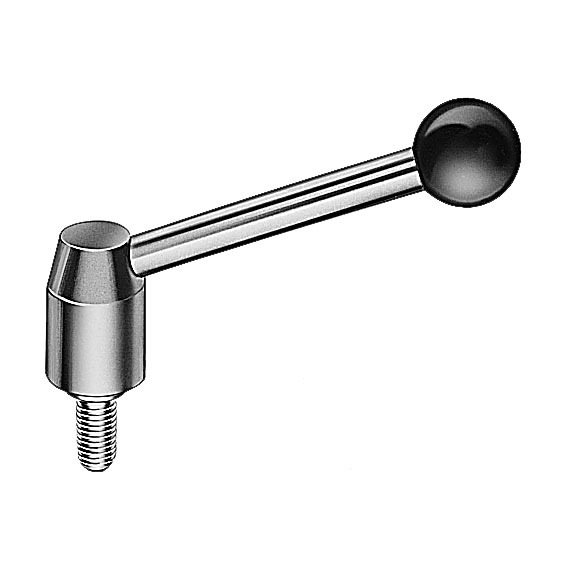 Stainless Steel Heavy Duty Adjustable Tension Levers have proven to be ideal wherever parts have to be clamped in a confined space, or if a particular lever position is required. 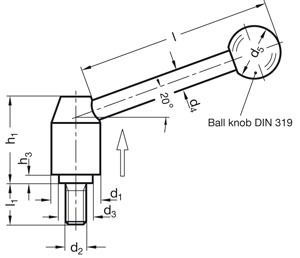 The threaded insert is connected with the hub via serrations which can be disengaged.